The use of aluminum composite material (ACM) in residential development can create distinctive designs that stand out against their surroundings. Often chosen in conjunction with other more traditional building materials, aluminum composite can add modernity to residential design. Today, architects often choose a variety of products to be used on a single home. The materials vary from brick, stone, wood and even aluminum composite, as either an accent or, in some cases, an enveloping material as well. ACM can withstand the lifespan of a home while improving its aesthetic design. There are residential designs that call for different solutions and brick and stone can be really beautiful and highly valuable cladding solutions, but they fail in a few areas. Brick can be extremely expensive, and stone can be really heavy. While wood and concrete are often chosen as versatile materials with speedy production times, ACM offers variation in terms of color options, and fabrication. When aluminum composite material is chosen over traditional materials it is because ACM is a premium product that creates a contemporary, long-lasting style. German design firm, Coodo, builds contemporary living pods with futuristic design in mind. The Alucobond clad modular structures are portable and customizable. Each living unit blends in with the natural landscape seamlessly using a combination of corian, Alucobond, Alucore, and wood. Rounding out the exquisite outer facade are custom-made furnishings within each unit, making these minimalist homes one-of-a-kind. 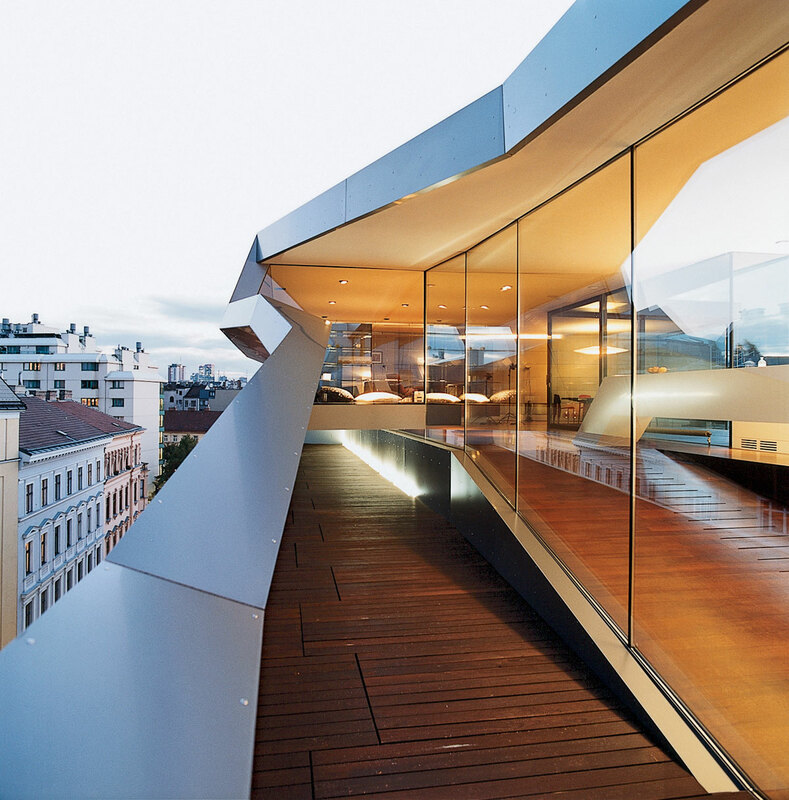 A Vienna, Austrian rooftop penthouse received a futuristic makeover. Strong lines form a contrast amongst the historic and traditional buildings that surround the structure. The nature of the design incorporates the ceiling and the floor into one interconnected sloping line. The lightweight aluminum composite material is cut into custom shapes and then boldly riveted into place. The benefits of using Alucobond include protection against harsh climatic conditions utilizing a topcoat this is UV, salt, and weather resistant. A huge 19th century steel water tower frames a small cube-shaped living space that is home to a very contemporary window-filled structure. 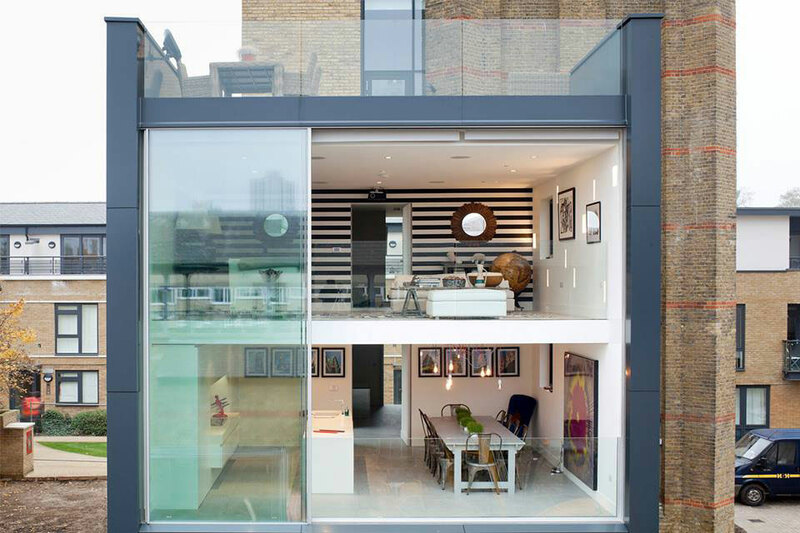 The home extends into a roof deck giving the residents 360-degree views of London. Dark grey Alucobond paneling frames the rear side of the building. The final effect is a strong contrast between the reconstructed home and historic architecture it resides within. 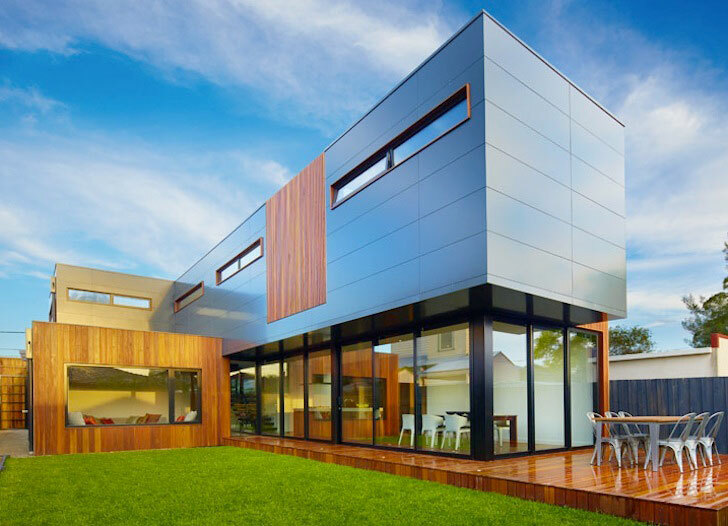 Striking, reflective aluminum composite panels stretch out from this modern dream home. The architects, Modscape, were tasked with creating a space based on a Pinterest board curated by the family-of-four. The two-story house is clad in shimmering Alucobond paneling on the upper level. The design was planned in such a way as to add to an efficiency of solar heating and cooling. Not pictured is a system that harvests rainwater, an important component in the area’s semi-arid climate. Bronze Alucobond shines from every angle on the stunning Lake-side vacation home in the Swiss Alps. Reflective tinted The opaque panels on the outside give way to a sleek all-white interior filled with natural light. Metal paneling is often used in conjunction with traditional materials; it’s unusual to have an entire small residence enveloped in ACM. German architecture firm, Biehler Weith Associated, gives the home a signature look that is rhythmic and serene. The home is warm and inviting despite a full metal exterior. Alucobond is the natural material of choice in home design for a Melbourne, Australia coastal home. The designers at Vibe Design Group collaborated with specifiers, Icon Synergy, to build the coastal residence. A neutral palette of timber, white, black, and stone let the home blend into its natural surroundings. Alucobond gives the building a level of sophistication throughout its design. 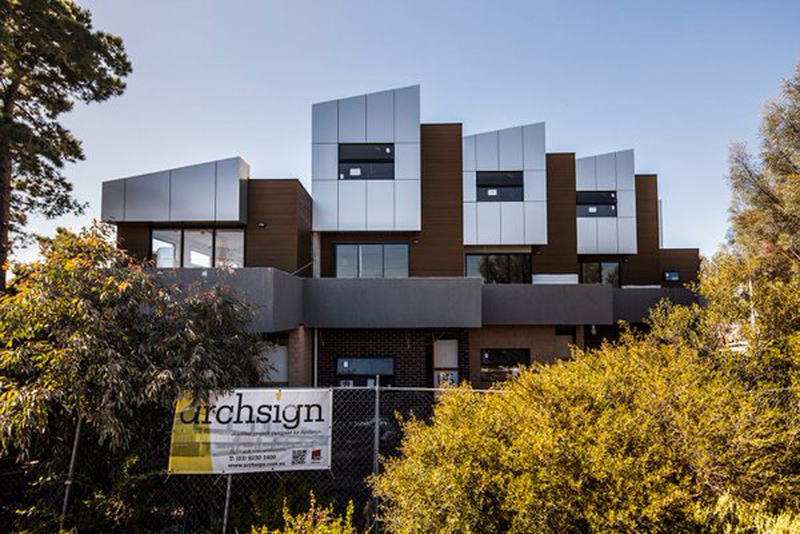 A new multi-residential project by Arch Sign was recently constructed and clad in Alucobond aluminum composite material. Among the traditional materials visible from the street, brick and wood higher up on the second floor are tiers covered in Alucobond paneling. Each tier sharply angles up towards the sky in a modern take on residential design. 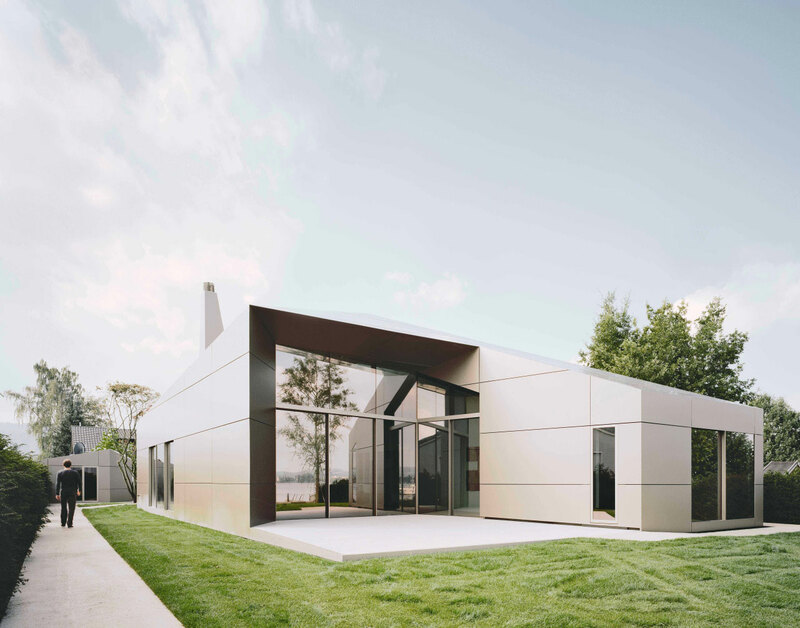 The structure is transformed with an exterior façade that creates sharp lines on the outside of the house. 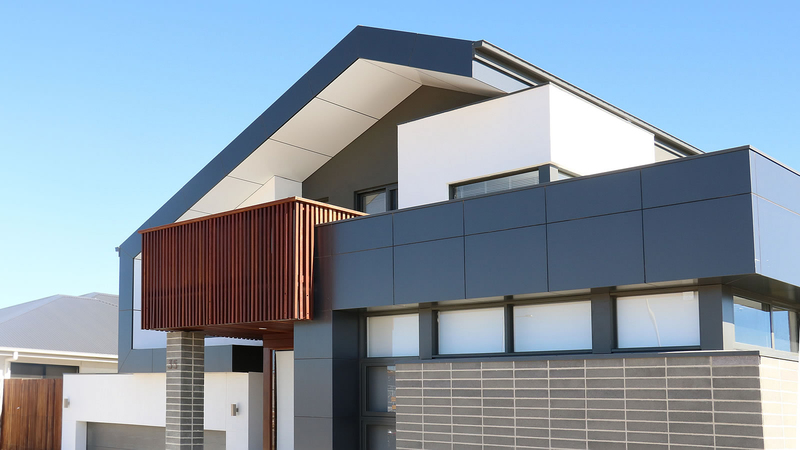 Dark Alucobond siding contrasts white paneling and wraps the Australian home from every angle. 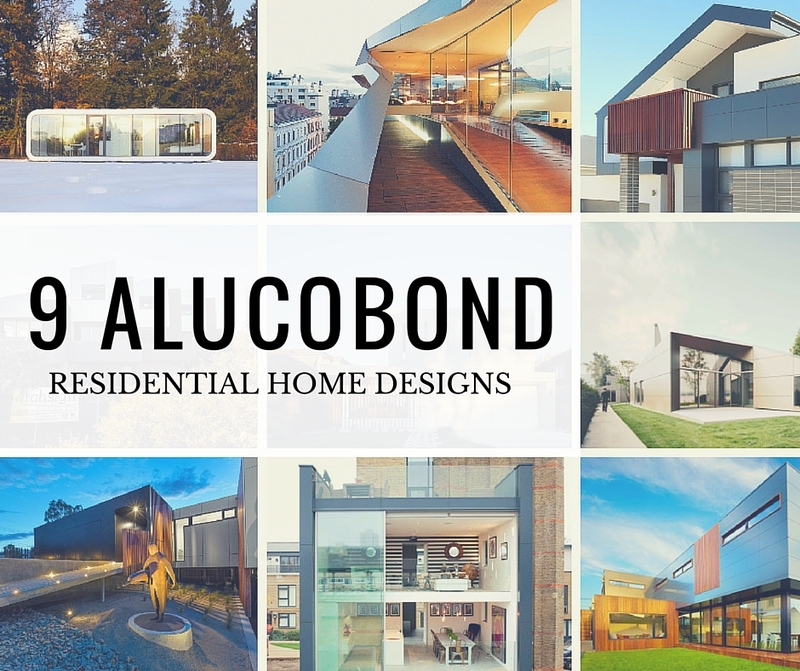 Alucobond can offer many benefits in the temperate climate in the capital city of Australia. 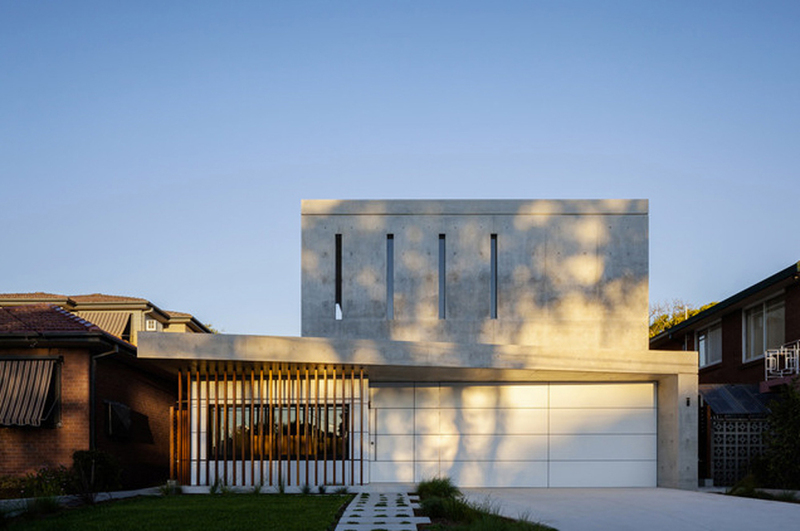 The Concord House is also in Sydney, Australia and clad in Alucobond siding. Concrete and wood pillars make up the main exterior. The design is very minimal with clean lines and natural colors. Not only is Alucobond a modern material for the exterior of the Concord home, but it is also continued on the interior creating a seamless indoor/outdoor living space. What these structures represent is a collaboration of the architects and the homeowners asking the question: how do we envision the future of the built environment? Residential design is evolving. And with that evolution comes the introduction of less traditional building materials. Using building materials, classic and modern, in unison sets a tone in residential architecture showcasing our movement as a society towards innovative design. This entry was posted in In the Press. Bookmark the permalink. Follow any comments here with the RSS feed for this post.